The Story: Security guard David Dunn uses his supernatural abilities to track Kevin Wendell Crumb, a disturbed man who has twenty-four personalities. I really enjoyed this movie. 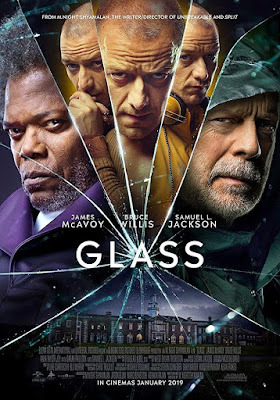 Well, most of the movie M. Night Shyamalan does a great job of bringing together story lines and characters he has explored in a couple of his previous films. While this is nothing like the shared universes we have seen unfold in other franchises, it is very well thought out, for the most part, and the character interactions are where the film really shines. Before I elaborate, I need to take a bit of a tangent that will help you understand what to look for when you watch the movie. Shyamalan is known for making movies that defy genre expectations and, more often than not, play opposite of what is expected to give you a completely new look. 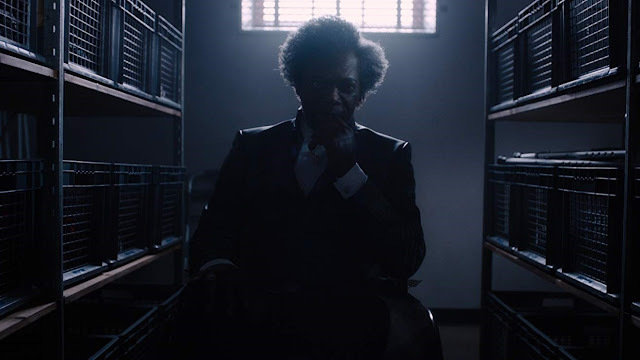 This is the third installment of what has become a trilogy of films including Unbreakable and Split both of which are widely considered as two of Shyamalan's best efforts to date and both are meant to be deconstructions of the classic comic book mythos. These films are set in a reality that doesn't include high flying escapades with colorful costumes and villainous world conquering shenanigans, they give you the idea of extraordinary people in a much darker and methodically told format. 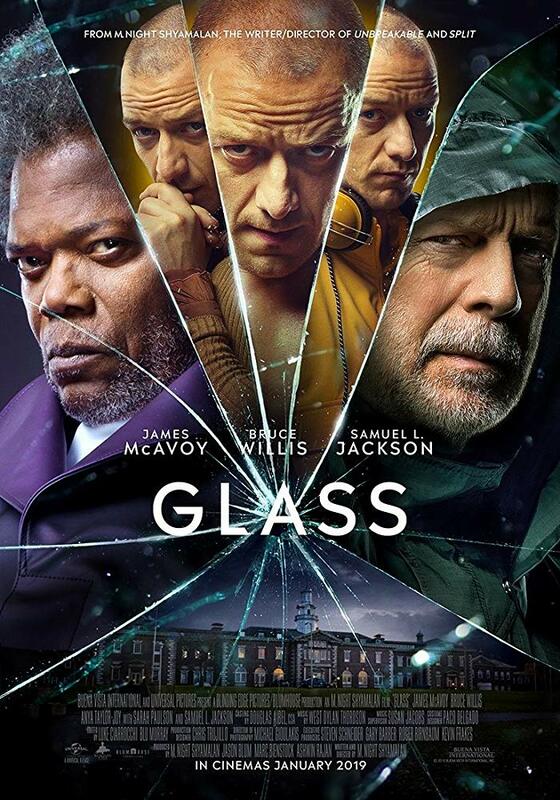 Knowing all of this, the expectation for Glass should be more of the same although Universal, the studio tasked with distributing and marketing the movie, is advertising it as if it is a film that might fit in with the types of movies that Marvel and DC are known for. If you have watched the trailers, disregard them. If you haven't then please avoid them. Just go see the movie and enjoy it for what it is instead of what the studio wants you to think it is. If you are looking for big special effects and high flying action, you are going to be disappointed as there isn't much to be had in this story and, as I've mentioned, that is absolutely intentional. Like its predecessors, this is a much more cerebral film and is at its best having the characters interact with conversation rather than computer generated fisticuffs. The strength of the movie by far is the collective work put in by the three stars of the film. Bruce Willis does a great job returning to one of his most iconic and understated roles while James McAvoy continues to build on his performance in Split, one that was my favorite of the year when the film came out. Throw in Samuel L. Jackson as Mr. Glass himself and you've got a powerhouse trio of actors putting in some of the best character work they have to offer, at least for most of the movie. 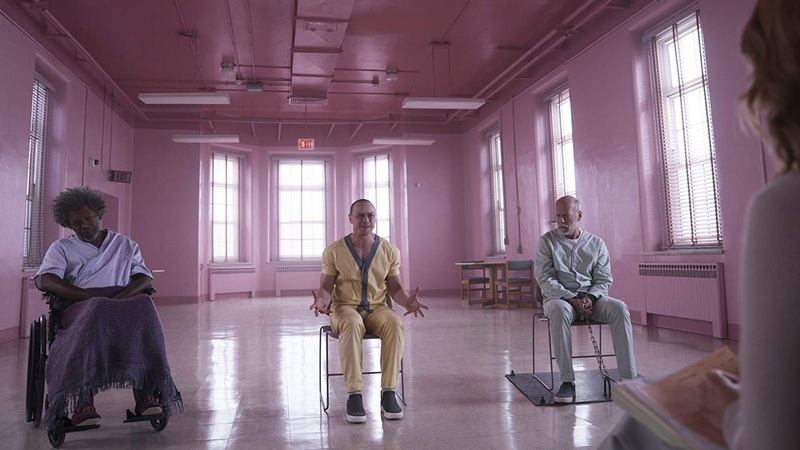 Glass is a really good mystery thriller that completes M. Night Shyamalan's three part deconstruction of the super hero genre. Filled with top tier performances, the only things keeping this movie from being truly special are a couple of unforgivable plot holes and a third act that is too drawn out and convoluted for its own good.